When media writes about startups it’s usually about who raised investment or won some hot prizes (we have been actually mentioned in both categories too). Not so often we can read about one startup taking the time to do something impressive for another. For no other reason than making someone happy. This is a story about one Estonian startup Fleep making a cool emoticon ((work)) for another startup – GoWorkaBit. 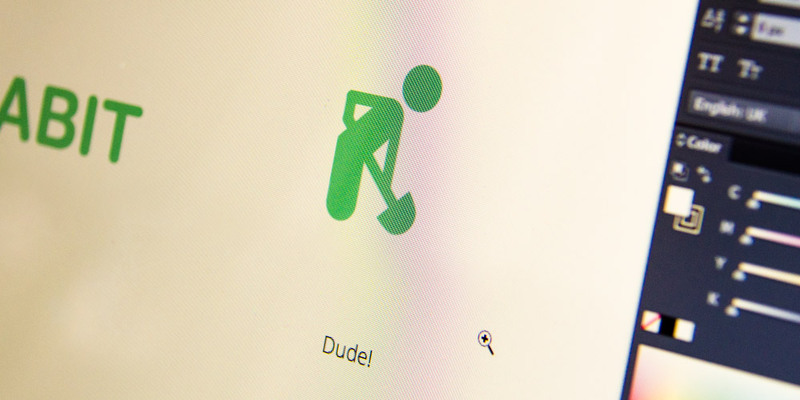 It presents our first logo “man with a shovel”. This man has actually been retired from our symbols, but represents the term “work” in a cool way. The term “work” has a special meaning for us. In our pitches we have often used the line “we work like crazy, cause it is fcking exciting to change the world” …and that’s true. We work 24/7 for a future where everyone can choose for themselves when and where they want to work. And no government will tell them for who, where, how long and in what countries they can work. Working can be freaking awesome when you can choose with whom and how you do it!!! And when you understand how your work is making the world a better place. Even if… just for you. So as you understand…work is important to us. This is the change that we want to create in the world. How did this get to Fleep emoticons? As many starting startups, we do not have an office and as our team works from different cities, we need great tools to make our teamwork work. Today Fleep is one of the more important of them for sure. 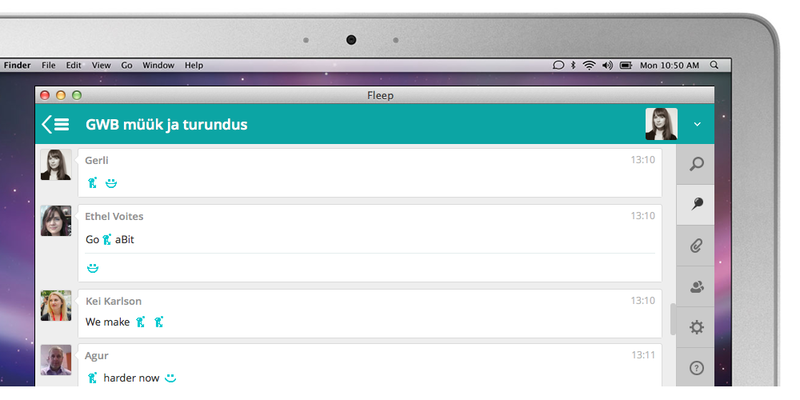 Fleep is a chat for teams and businesses. In a friendly and simple way. To be honest, we tried Fleep at the very beginning of GWB, but our team was so small that for everyday casual chat Skype was more appropriate. Today we have 8 people in our team, who have to communicate with each other on a daily basis and there are several different documents and topics that need to be organized in a sensible way. For that, Fleep is just right. Pinning the posts and gathering files next to relevant topics are our favorite features. Today. Today Fleep gets all our love and points in that category! We have our own emoticon in Fleep! That’s supercool! Of course you have to type ((work)) to see it. Work that also means fun, joy and cool experiences. So all the Fleep users, log in and try it out. Those of you who don’t use Fleep yet… well, you have to sign up right now, even if it is just to see our cool new emoticon.